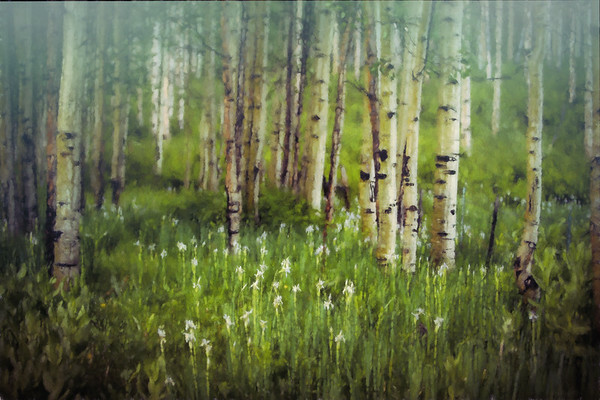 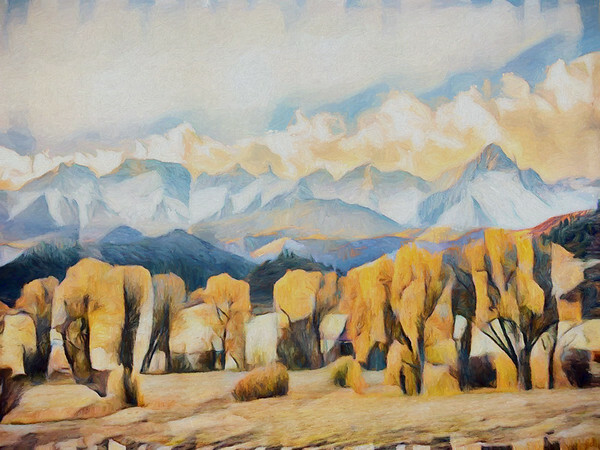 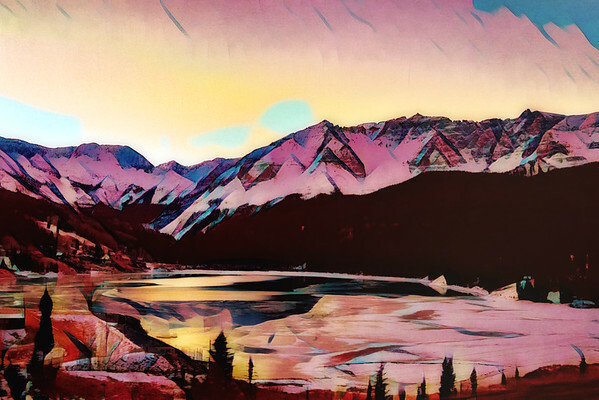 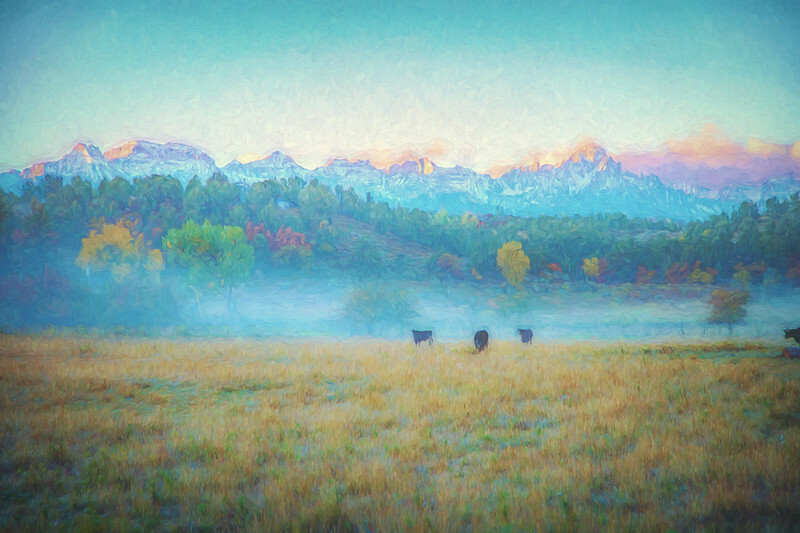 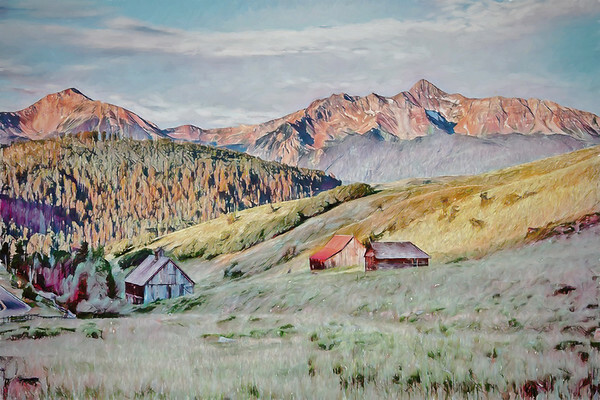 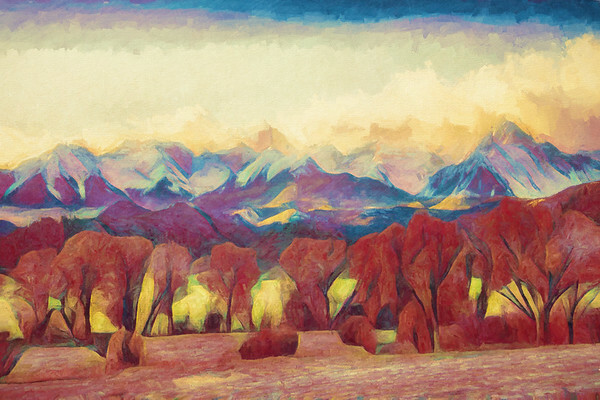 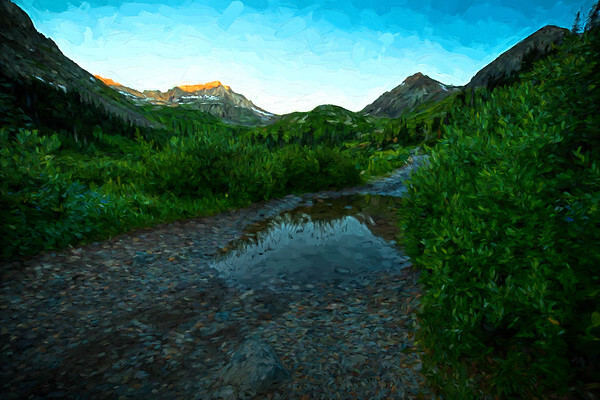 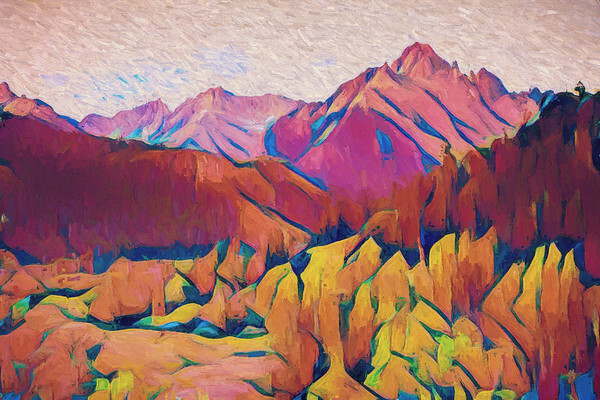 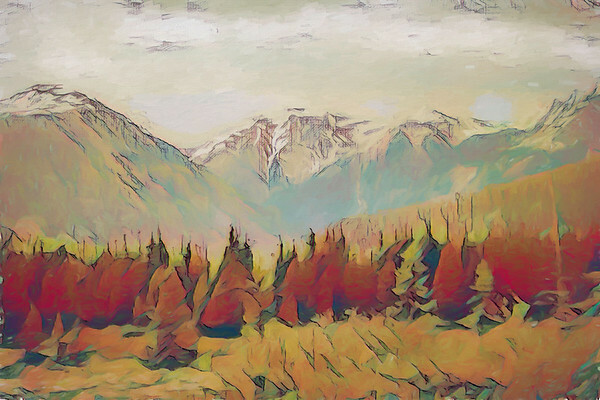 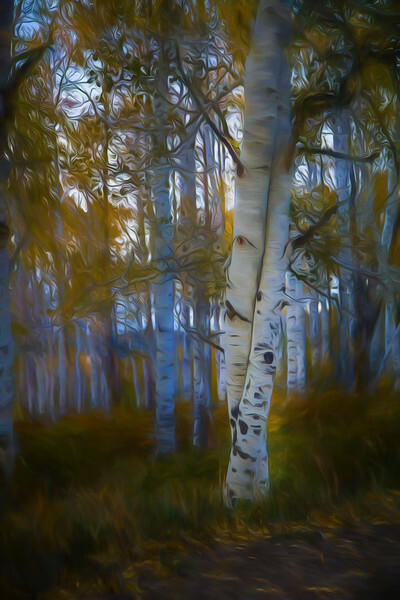 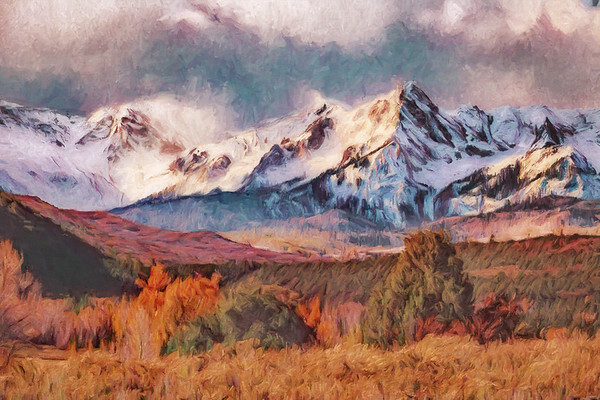 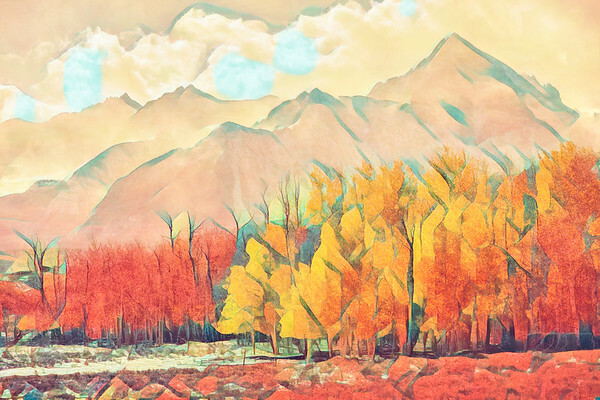 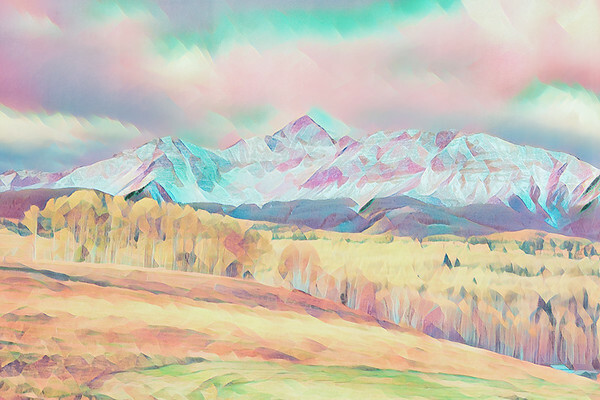 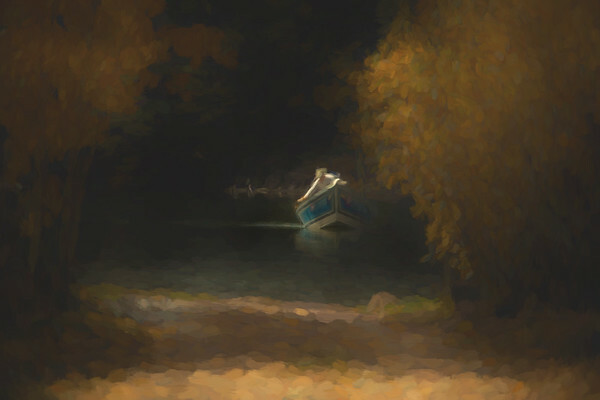 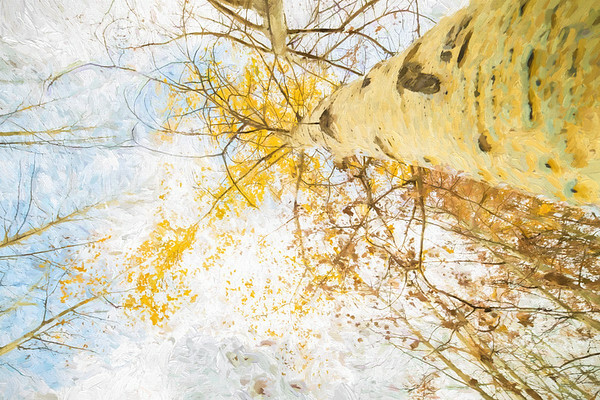 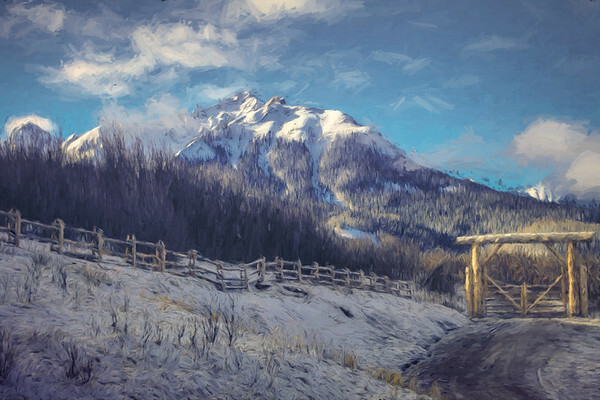 An abstract digital painting of the San Juan mountains near Ridgeway, Colorado. 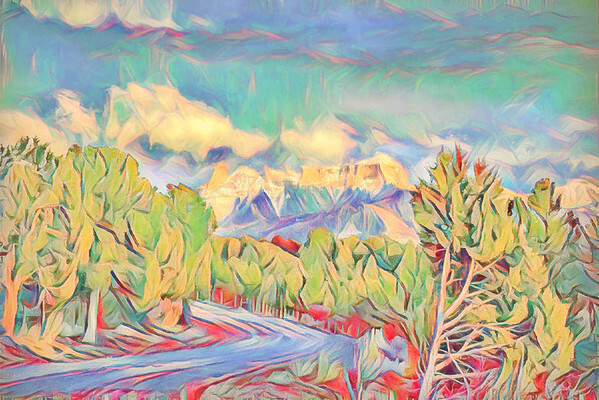 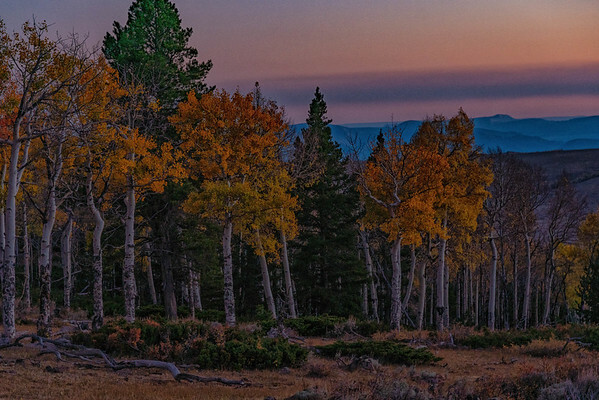 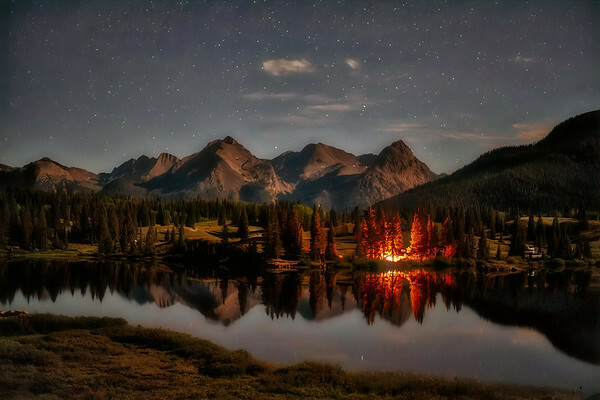 The peak on the right is Mount Sneffles. 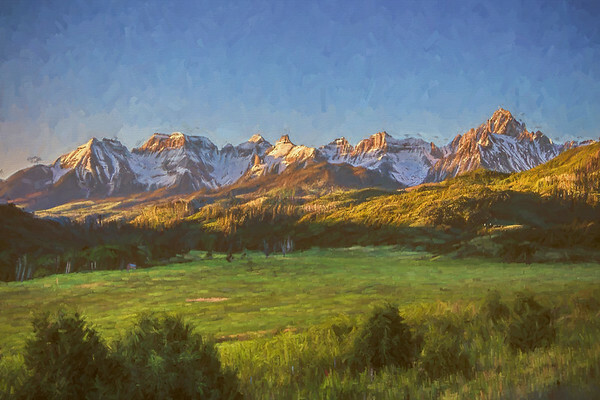 Left of Sneffles is Cirque, Tea Kettle, Whitehouse and others.